Sparkling gold wedding earrings with a point of difference. The Daylesford earrings are designed and made in Melbourne for the Hello Lovers Australia Collection we stock in store. Not sure about gold, its ok we have them in silver and rose gold also. Matching your jewellery is easy, I have paired these little beauties with our gold wedding hair vine or our Cinderella comb. What a lovely idea of gifting these earrings to your bridesmaids, mother or mother in law. Some times a thoughtful gift can mean so much. Don’t have the time to come in store or from inter state? Just give us a call on (03) 97032198 and we will post them to you. Beautifully packaged in a silk pink box, its a delight to open every time. 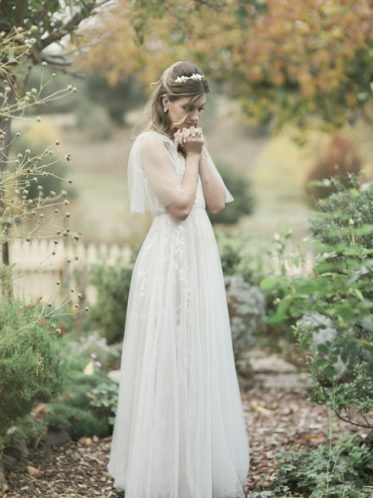 We have featured the Marley boho style wedding dress in our pictures. 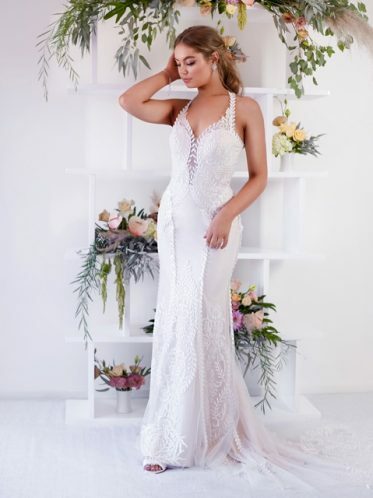 The Marley is just one of the boho wedding dresses Leah S Designs has in their Melbourne bridal shop. 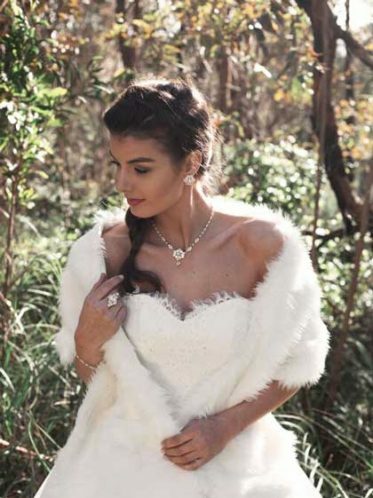 A Bridal store like no other truly a wonderland of all things bridal.